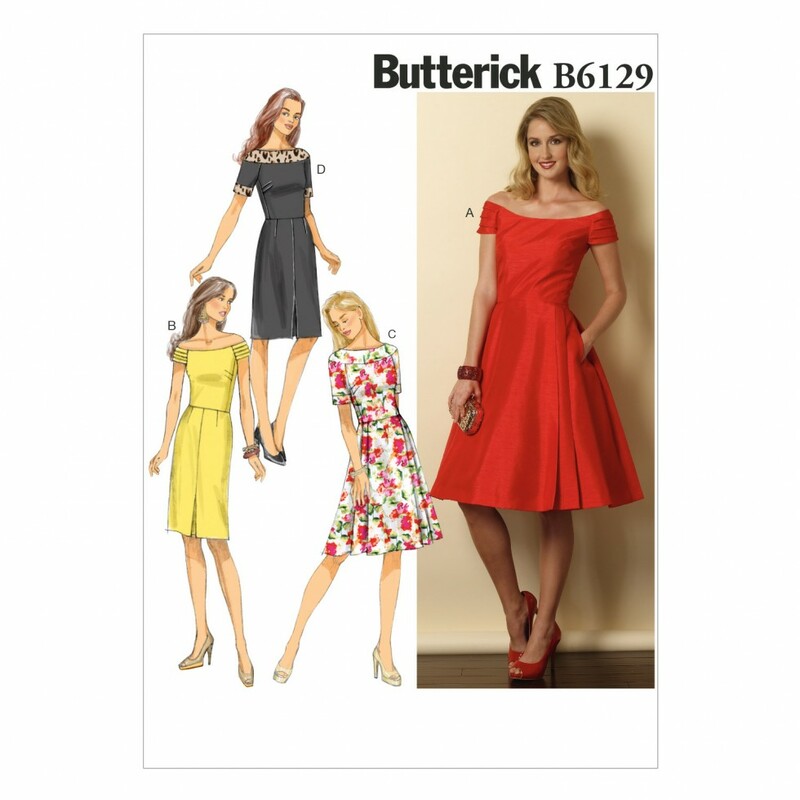 Dress has semi fitted, lined bodice with side front and side back seams, skirt and sleeve variations, and back zipper. A and B: bias, pleated sleeves with elasticized casing. A and C: pleated skirt and pockets. B and D: semi fitted skirt and front hemline pleat. C and D: collar and cuffs.